So, you get another one today since I am playing catch up. Don’t forget to scroll down to see the 1st one. Today we got the see the big town of Poolville. As the history story goes back in the day it was a booming town. It received it’s name because of a “pool” of water that never dried up. The towns people always had water. 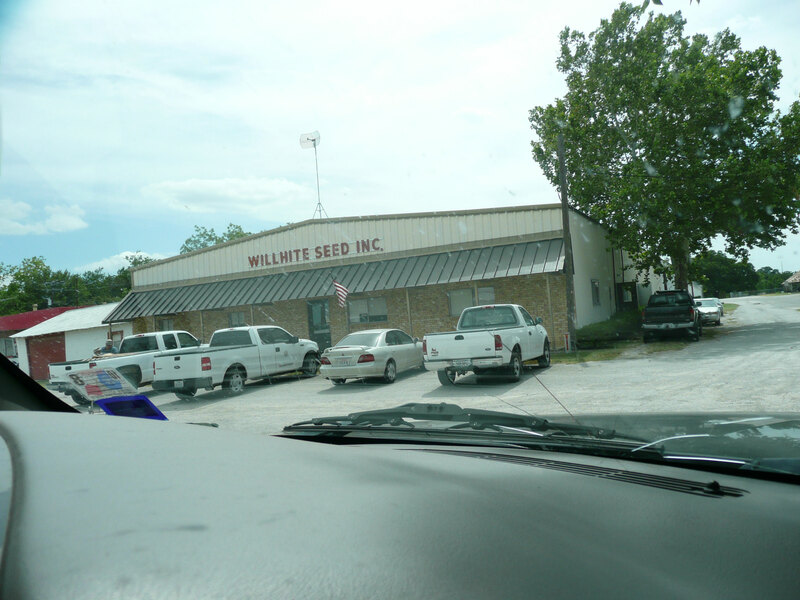 Well, it has dried up now for the most part but, one famous store remains…Willhite Seed Co. They are a famous watermelon seed supplier shipping all over the world. They even had a little article written about them in the latest issue of Mother Earth magazine. We’re talking BIG people. The post office is just beside Willhites (with a whopping 284 boxes) and down the little alley to the right are 2 small churches and around the corner is the elementary and high schools. Apparently there’s a town square right in front of Willhites but we were so busy with the famous seed company we forgot to look out the other window in the car to get a picture of it. Well that’s it folks…that’s Poolville, TX.